Mitchell Reports™ provides thorough pre-employment screening solutions when it comes to hiring decisions. We offer you several levels of service by customizing suites of online screening solutions. Mitchell Reports™ takes the guess work out of verifying the information provided by applicants, volunteers or prospective business partners. Mitchell Reports™ is an information network aggressively focused on assembling the most powerful set of records in the country. You will have access to this data and able to make decisions within days - not weeks! And it’s very affordable too. Fast turnaround time 1.6 days nationwide has been our latest internal survey results. That’s an amazing track record! Mitchell Reports™ is an industry leader who understands the investigation process and celebrates 51 years conducting pre-employment investigations. Making background screening fast, efficient, and highly confidential is a service you can count on. Join our long list of exceptional clients who depend on Mitchell Reports™ for all their screening needs. A great workplace is most successful when a team of qualified, experienced, and talented individuals find a safe, accident-free and efficiently run operation. Building a team that stays on the job long-term is beneficial to the both employers and employees alike. Any business that operates at a high-level of productivity needs quality workers. This is best accomplished using a thorough interview process in conjunction with a solid background screening program of choice candidates. These two powerful steps combine to help any manufacturer achieve their goals and business dreams. Mitchell Reports™ is ready to customize a background package specifically for your industry while considering any special requirements or job responsibilities. Take the next step and contact us now to learn how we can make this process easy, efficient, and painless. A solid pillar of any corporation's human capital resources lies in creating a team of qualified, experienced, and talented individuals. Deciding to team up with candidates requires wise recruiting of professionals who fit in and have a clean background. This is best accomplished using a thorough interview process in conjunction with a choice background screening program. These two powerful steps combine to help any corporation achieve their goals and business dreams. Mitchell Reports™ is ready to customize a background package specifically for your industry while considering any special requirements or job responsibilities. Take the next step and contact usnow to learn how we can make this process easy, efficient, and painless. Mitchell Reports™ serves numerous organizations in the temporary staffing and PEO industry. We understand the need to develop efficient programs that allow for flexibility based on your individual needs. Since 1961 Mitchell Reports™ has conducted thousands upon thousands of claims, personal injury, accidents, property and other insurance related investigations for most insurance carriers. From SIU departments to law firms representing insurance companies Mitchell Reports™ understands the Insurance Fraud Prevention Act and other State Regulatory Laws. Operating a successful insurance practice includes screening employees, agents, temp services and contractors. Mitchell Reports™ has investigated backgrounds before the internet or cell phones existed. We know what it takes to investigate references, neighbors, and other sources if needed. Our comprehensive suites of services take the guest work out of candidate selections. One industry heavily impacted by government directives regarding employment screening regulations is yours. Several recent major rulings like The US Patriot Act, Sarbanes Oxley requirements, FDIC guidelines, and other directives require careful attention. Mitchell Reports™ has a screening solution that’s right for you. Properly screening faculty, teachers, teaching assistants, coaches, janitorial staff, support staff, volunteers, and other extra-curricular activity staff is vital. Maintaining an environment that is not only safe but screened to protect children is paramount to learning and productivity. Keeping your campus safe by making solid hiring decision is the key. The healthcare industry is highly regulated in the United States. Mitchell Reports™ will develop an effective and efficient screening solution that complements your unique hiring needs and keeps you in compliance. Our online screening services take the guess work out of finding great staffing. America moves goods and services everyday and no other industry faces a greater threat than the transportation business. Mitchell Reports™ understands the investigative requirements imposed by the federal government including the FAA or DOT. Having protected many corporations assets and operations Mitchell Reports™ provides the level of expertise to set up a screening program that includes regulatory compliance while addressing the risks associated with transportation services. Mitchell Reports™ has many years of experience serving those in all sectors of the retail industry. Employee-related concerns affecting the Retail industry are employee theft and turnover. We understand how these issues influence the productivity and profit of any retailer. Properly screening your employees is a proven method to deter and reduce employee shrinkage while improving employee retention. Mitchell Reports™ will develop an affordable and effective screening solution based on your unique needs. America enjoys the freedom of worship. One of the greatest privileges we have and hold sacred is worshipping at the place of our choice. Operating and administrating a vibrant church often requires many volunteers who are entrusted with key responsibilities on many levels. Your team of volunteers and employees will enjoy at atmosphere of confidence knowing they are part of an organization that looks out for their people and families. Guard your church by setting up a simple, fast, and an effective screening solution which is a specialty at Mitchell Reports™. Let us help you protect your church and its mission. The risks are too great by not acting right away! NewSpring Church had the pleasure of doing business with Mitchell Reports from 2011 through the end of 2013. Mitchell Reports provided background checks for all staff and volunteers. 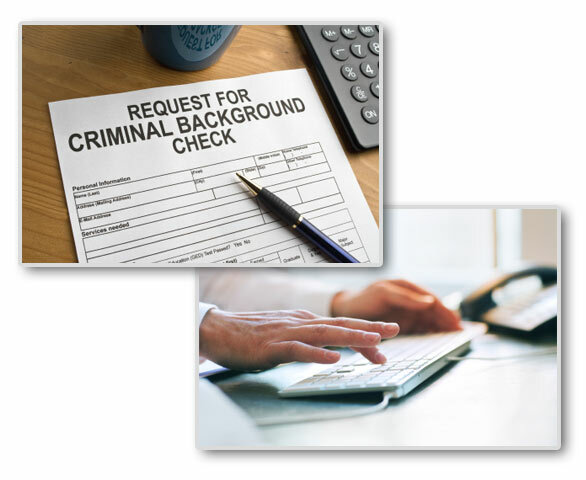 The background checks were accurate and quick and we enjoyed Mitchell Reports and the services they provided . Quick return of requested background searches. Highly confidential and secure servers requiring no additional software to install. Files are encrypted for maximum security and safe delivery. Competitively priced searches with packages available for even more savings. Invoicing monthly with details of locations, departments, groups, buildings and other sub codes to track in budgetary reports. Automatic Reorder feature available at selected incremental dates to further expedite the screening solution. Add more searches without re-entering applicant data. Option to monitor candidate searches monthly to bring you further peace of mind.